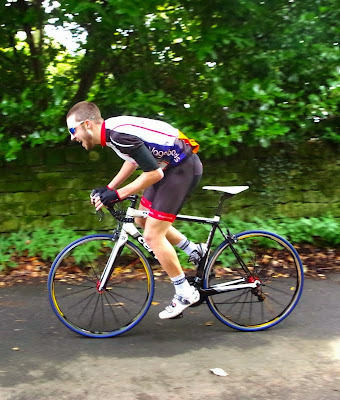 Tim Wilcock was crowned club hill climb champion for the second year, but with a much reduced margin of victory over Adam Wild, who finished just over 2 seconds behind him. In third place, and just 0.3 seconds outside the Under 16 Boys course record, was Craig Gow. Ladies hill climb champion is Sophie Enever, who set a new Under 16 Girls course record in the process. Craig wasn't the only one to narrowly miss out on a benchmark ride though as Ken Thursby finished just 0.7 seconds over the 3 minute barrier.